Elisavet is a Greek student from Thessaloniki. She is currently doing a PhD in computer vision at Information Technologies Institute (ITI) – CERTH – in collaboration with the University of Surrey, UK. Her research is about using machine learning to analyze data from social media. Before starting her PhD, she studied electronics and computer engineering at the Aristotle University of Thessaloniki, and afterwards she worked at the ITI institute for one year. She is very interested in research, and so she would like to work in a research lab or in an industrial R&D department after she finishes her PhD. 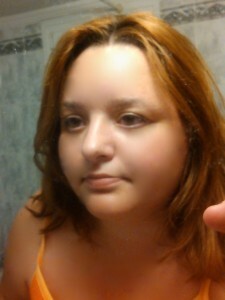 In her free time, Elisavet likes watching movies, hanging out with friends and listening to music. She especially likes rock music, as well as Greek music. One of her favorite bands is the Scorpions. During the Summer of HPC, she will work on performance analysis of a distributed system used in material science. Although this project is not directly related to her research area, she hopes to gain useful knowledge on high-performance computing, that she can then apply on her own project, to allow large scale analysis of multimedia data. She will do her project in Budapest, Hungary. It will be her first time in Budapest and she hopes to have a wonderful time in the city and a fruitful collaboration with the researchers at NIIFI. This profile was written by Antoine Dewilde.